On Monday 4, the All-Party Parliamentary Group on Rural Health and Social Care met. On Tuesday in the Commons, MPs debated local council funding. Elsewhere, the Treasury Select Committee met to hear evidence on consumers’ access to financial services. Representatives from Monzo, Lloyds and the Bank of Scotland, and the Post Office gave evidence. Housing Minister James Brokenshire confirmed the 2019 and 2020 funding package for local authorities, it was criticised for cuts by a range of MPs. On Wednesday 6, the Environmental Audit Committee met to scrutinise the Environment Bill. Later, the Environment, Food and Rural Affairs Committee heard evidence from Defra representatives on the work of the department. The All-Party Parliamentary Group on Rural Poverty met for its inaugural meeting and the All-Party Parliamentary Group for Town Centres met to celebrate what makes individual town centres special. Home Secretary Sajid Javid announced proposals to crackdown on illegal camps on private land. The measures would make it easier for the police to intervene and extend the period during which travellers are unable to return to land from three to 12 months. The Home Office is consulting further on whether it should be a criminal offence to set up camps on private land. On Thursday, Backbench Business in the House of Commons included a debate the closure of Santander banks. MPs pushed for the Government to hold big businesses to account on branch closures. The scheduled debate on the taxation of pubs was postponed. 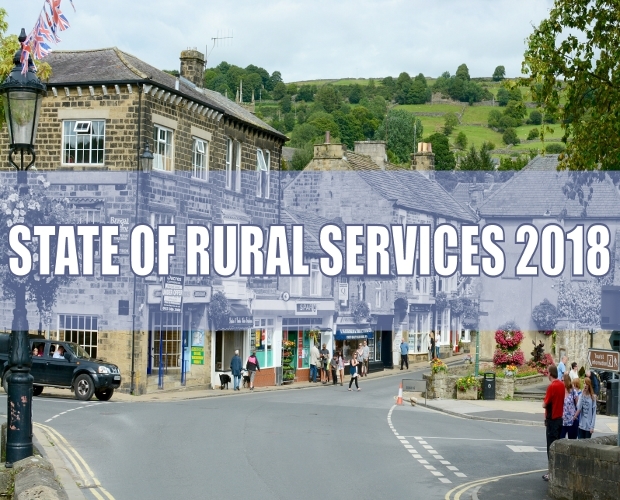 On Friday, the Banking and Post Office Services (Rural Areas and Small Communities) Bill had its second reading in Parliament. On Monday 11 February, the Housing, Communities and Local Government Committee meets to hear evidence on local authorities’ children’s services. Elsewhere, the All-Party Parliamentary Group for Ageing and Older People will meet as part of its ongoing inquiry into accessible housing. On Tuesday 12, in the House of Lords oral questions will centre around achieving net zero carbon emissions in farming. On Wednesday 13, Esther McVey MP has tabled a debate in the House of Commons on education funding in Cheshire. She has previously spoken out against Education Secretary Damian Hinds on rural school funding. Elsewhere, the Transport Committee hears from Department of Transport representatives as part of its ongoing inquiry into the health of the bus market. On Thursday 14, ahead of the Brexit vote MPs will put questions to the Transport Secretary, Chris Grayling.